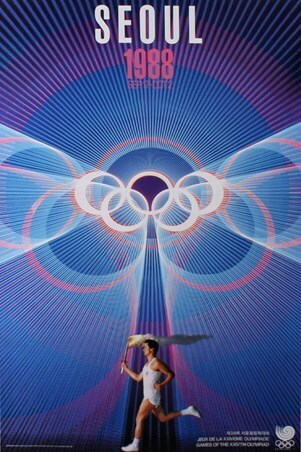 Limited Edition Art Print: This official poster promoted the Olympic Summer Game held in Seoul in 1988. 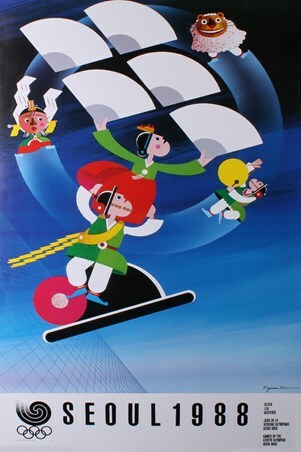 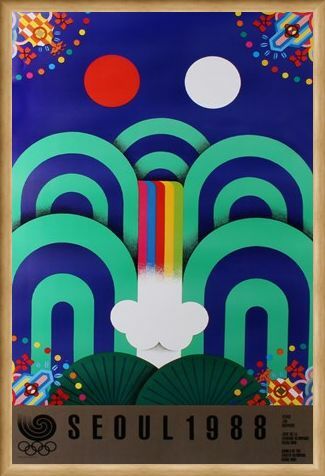 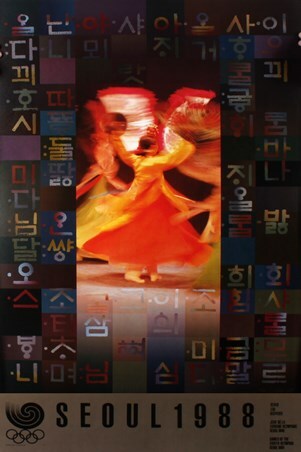 This culture poster was part of a series which was produced by Korean artists with the aim of presenting Korean culture to the rest of the world. 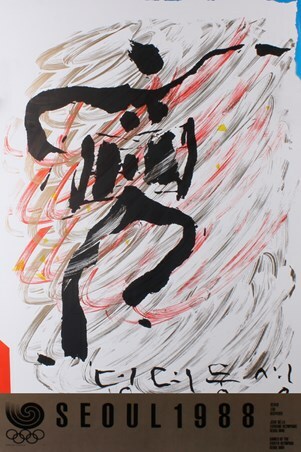 The bold design with its heavy lines, striking patterns and delicate corner boarders is a delight to behold and is sure to look impressive once hung in your home. High quality, framed Royal Screen Pattern Commemorative Art Print By Yang Seung-Choon, 1988 Seoul Olympic Games limited edition print with a bespoke frame by our custom framing service.